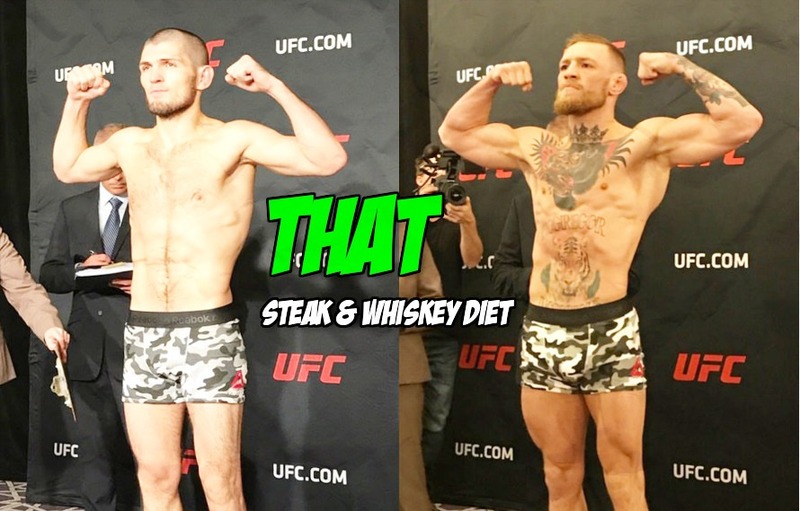 Is Conor McGregor going to be bigger than Khabib Nurmagomedov? Pic: Is Conor McGregor going to be bigger than Khabib Nurmagomedov at UFC 229? Would we really base an entire fight prediction off one single picture? Yes, yes we would. Good news, Conor McGregor is clearly winning at UFC 229. Per a new pic floating around the MMA Internet, Mystic Mac is bigger than Khabib Nurmagomedov. These things matter. That’s why they have weight classes. Remember prior to his fight with Nate Diaz at UFC 196 the UFC Embedded crew caught McGregor chewing on steak during fight week? Mac has only fought at 155 pounds once in his UFC career. The former 145 pound champion somehow has more UFC fights at 170 pounds than 155 pounds. Maybe there is something to not killing your body or kidneys in the days leading up to a cage fight. In the end, does 5 to 10 pounds of weight in the cage really matter that much? Look at MMA heavyweights. The entire history of the weight class is filled with smaller, faster fighters toppling over slow, larger men. Sometime with weigh differences of 20. 30 or even 40 pounds. If MMA heavyweight history has taught use anything its that it has taught us nothing. Throw everything you thought you knew out the window, run it over with your car, then bury it six feet underground. Per this pic, McGregor is the bigger fighter than Khabib Nurmagomedov. We don’t know how. We don’t know why but this weigh-in pic from UFC 205 tells us a lot. On that night Khabib embarrassed Michael Johnson while Conor stole Eddie Alvarez’s soul. Both fights were at 155 pounds. 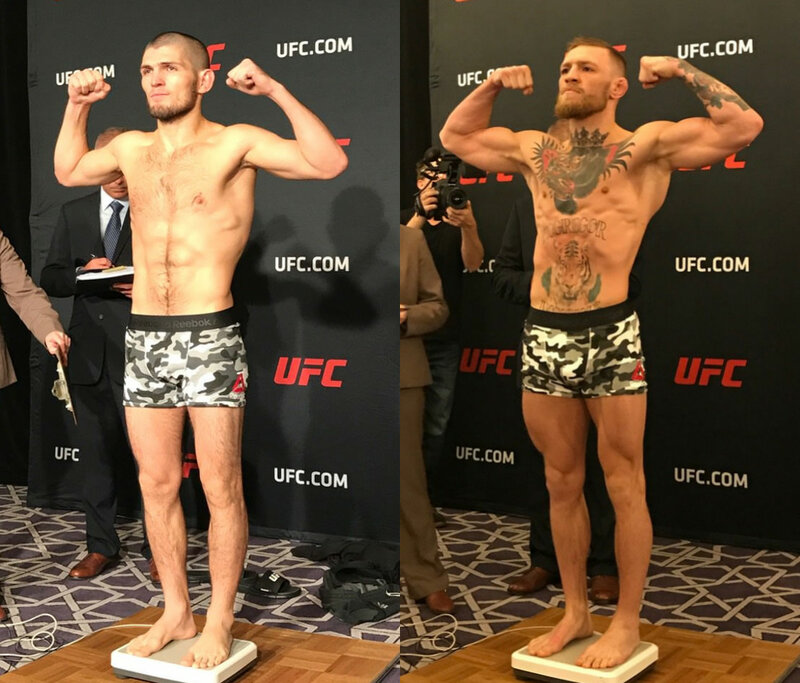 From the weigh-in the day before UFC 205, here is Conor McGregor looking much bigger than Khabib Nurmagomedov. This tells us a lot about what will happen at UFC 229, we’re just not sure what it is yet. Conor’s legs look bigger that’s for sure. I wonder if Conor’s mind games are going to get to Kabib though, it’s going to be a good fight that’s for sure!